Since 2010, federal government departments and agencies have enjoyed a beneficial working relationship with the Johnson Shoyama Graduate School of Public Policy (JSGS). Western Economic Diversification Canada (WD), as the coordinating federal government body, entered into an MOU with JSGS, which was renewed in 2015 for a second round and will continue until at least 2020. There have been more than 20 internships arranged for JSGS students over the past seven years. At least five of those interns have been bridged into indeterminate employment, and several others have been bridged into term positions. "My placement provided me with opportunities to learn how to work effectively under time constraints and in a high-paced work environment. Additionally, my internship further enhanced my understanding of how decisions in the federal government are formulated and implemented. Beginning my career with the JSGS internship opportunity was a perfect start to achieving my goal of supporting public policy development and implementation within the federal public service. It also provided me with a glimpse of what a career in the federal public service can offer." The following story was originally posted on Western Economic Diversification Canada's website. 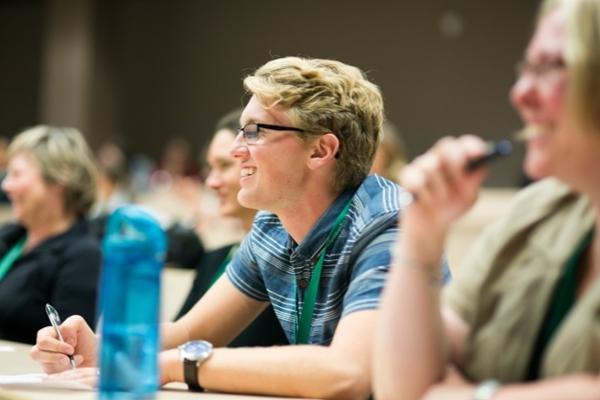 JSGS was established in 2007 jointly by the University of Regina and the University of Saskatchewan, and operates on both campuses. It is considered one of Canada's leading policy schools for educating graduate students and public servants interested in and devoted to advancing public value. Historically, Saskatchewan has pioneered some of Canada's major policy innovations including universal health care and treaty land entitlement negotiations. The province has also supplied the country with many distinguished public servants. JSGS is named after two of those leaders – Albert Johnson and Thomas Shoyama – who both served the Governments of Saskatchewan and Canada, as well as making their mark in academia. Alison Hamilton, now a Senior Business Officer at WD in Saskatoon, started her federal career as a WD intern. "My internship at WD helped to refine and enhance my public policy skill set, which I started to develop in my MPA program at WD. My placement provided me with opportunities to learn how to work effectively under time constraints and in a high-paced work environment. Additionally, my internship further enhanced my understanding of how decisions in the federal government are formulated and implemented. Beginning my career with the JSGS internship opportunity was a perfect start to achieving my goal of supporting public policy development and implementation within the federal public service. It also provided me with a glimpse of what a career in the federal public service can offer." Eric Neudorf, another WD intern who moved on to become an Analyst with Statistics Canada, says, "My JSGS internship at WD was the best possible introduction to the public service. At WD I had full access to a team of talented mentors. The Policy and Communications team at WD helped me navigate human resources challenges, they introduced me to key policy documents, and they always gave me meaningful work. My tasks at WD put the big ideas I was learning at school into context. When we drafted briefing notes on the new budget I learned how government organizations adapt to political change. When Ministers and Deputy Ministers articulated new priorities, I saw how policy windows open and close. As a JSGS student I learned to think and write about policy, and at WD I saw my ideas and my words reflected in the thoughts and actions of executives, who were making decisions that really mattered to Saskatchewan." Samantha Benesh, who is currently employed with DIAND as a Senior Program Officer, values her internship as an introduction to government work. "As a newbie to the public service, my experience in the Executive Internship program was invaluable. I was able to learn firsthand how government works. In working with stakeholder engagement, I learnt the skills I need to succeed in the work force and I became stronger at building relationships with a variety of peoples from a variety of places. In working with policy, I was able to gain the skills I needed to strategically think which outcomes will come out of policy decisions, keeping in mind the people in which it may affect. I cherish the experience as it has led me to where I am today: a confident, skilled, and approachable public servant." In addition to internships, the MOU between WD and JSGS facilitates a closer relationship between federal officials and the students and professors at the School. Federal public servants participate in interview workshops, orientations, public lectures and other events, with a view to raising the visibility of the Government of Canada within the School and melding the academic world with the practice of public policy. The partnership between WD and JSGS is helping to build a diverse and inclusive public service, as WD recruits a new generation of leaders to the federal government and provides them with the mentorship and knowledge transfer necessary to succeed. As WD has invested in their continuing education and career development, these interns are now invested in the future of the public service.